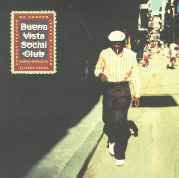 Past: 9/17/99 Fri. 6 PM Eliades Ochoa y El Cuarteto Patria from "Buena Vista Social Club"
A huge, enthusiastic crowd filled the length of the hall. Even Sanatra only filled half! 9/26/99 Sun. 12 - 6 PM * The First Annual DC Democracy Picnic sponsored by the Stand Up! for Democracy in DC Coalition Malcolm X Park, near Joan of Arc Statue Free! 10/6/99 Wed. Noon ACT UP! Demo supporting countries making inexpensive AID's drugs & protesting US Trade Rep. for keeping them expensive. 10/7/99 Noon DC Environmental Network meeting Friends of the Earth, 1025 Vt. Ave., NW, 3rd fl, WDC "Partnering For Neighborhood Revitalization: New Sustainable Development Initiatives in D.C."
10/7/99 Thurs. 5:30 PM & 7 PM 23rd Letelier-Moffitt Human Rights Awards Reception & Dinner National Geographic Society auditorium This one isn't cheap! $35 to attend, $150 for dinner, but the honorees are worthy. Campaign against Corporate Crimes Stewart Mott House, 122 MD Ave. NE, Wash. DC AfD Co-chair Ronnie Dugger will report. Should be easy parking on a Sunday. 10/20/99 Wed. 7 PM Just Health Care Coalition Preparation Meeting La Clinica del Pueblo, 1470 Irving St NW, WDC Just Health Care is what the Labor Party and some others cal single-payer national health insurance. 10/21/99 Thur. 6 PM Sharp! FREE showing of "The Lesbian Avengers Go To Washington" Followed by the "The Bradfords Tour America" D.C. Jewish Community Center Goldman Theater, 16th & Q Streets, NW, WDC Eddie Becker's latest. Only 13 min's, but WoW! 10/24/99 Sun. 4 PM Metro DC CofC Chapter Meeting We meet approx. every 3 weeks. New members welcome. 10/26/99 Tue. Noon Demonstrate How Fed Up We Are! with selling of Democracy to highest corporate bidders Speakers East Steps of the Capitol, Wash., DCAlliance for Democracy Alliance for Democracy and others. Read Ronnie Duggins' . "Citizens' Address"
$8 in advance, $10 at the door. Call (202) 332-3101 for more information or to arrange advance tickets. 11/8/99 Mon. 7:00-9:30 PM 13th Joint Faith Meeting on the Environment Perry Auditorium, Washington National Cathedral 202 966 8041. 11/9/99 Tue. 7:30-9:00 PM Racism in the Media: Does it Persist? Many Panelists Kay Spiritual Life Center, American University, WDC 202) 885-2074. 11/11/99 Thurs. 12 Noon VETERANS FOR PEACE DAY & Demand Clemency for Leonard Peltier Wounded Knee leader in prison on false charges. 11/11/99 Thurs. 8:00 PM Protest Madeline Albright's Policies on Iraq Sanctions and Bombing, MD Students United to End The War on Iraq & Friends of the Food co-op host Dennis Halliday at Univ. of Maryland, Room 0130 in Tydings Hall Contact Paul Osher at 301-477-3322. Phil Wheaton after Nov. 8., 301-270-9038. 11/17/99 Wed. 7 PM "The Depth of Public Opinion: The Difficulties in Passing Gun Control"
11/20/99 Sat. 5 PM - 11 PM Harvest Celebration Benefit Josephine Butler Parks Center, 2437 15th Street, NW (Columbia Heights, U Street or Dupont Metro). For information, call (202) 667-5515 for Brainfood or (202) 667-8875 for Community Harvest. 11/21/99 Sun. 4 PM Meeting of this Metro DC Chapter of Committees of Correspondence At the home of David Schwartzman in NW DC. For more information, directions, or help with transportation, please call Glenn Morrison at 202.362.3748. 522 Valencia St., SF, CA CofC National Office. 12/9/99 Thur. 6:30 - 9 PM Peace Center Volunteer Night to prep Holiday Fundraiser Peace Center 1801 Columbia Rd., NW #104, WDC 202-234-2000 Call and let us know what you want on your Pizza! 12/12/99 Sunday 4 PM Meeting of this Metro DC Chapter of Committees of Correspondence At the home of David Schwartzman in NW DC. For more information, directions, or help with transportation, please call Glenn Morrison at 202.362.3748.